WooCommerce is a popular e-commerce plugin that offers a lot of flexibility with a solid and well designed codebase. WooCommerce is not an SEO plugin or a social sharing plugin, so its Schema markup for search engines and social sites is minimal — and its social meta tags for Facebook, Twitter, and other social sites are non-existent. The aggregateRating warning from WooCommerce’s Schema markup can be addressed by having your customers leave one or more reviews for each of your products. Unfortunately, products without any reviews will not have an aggregateRating value. If your product has several reviews, WooCommerce will only include the last review in the Schema Product markup, which may not reflect the aggregateRating values — which are calculated from all reviews, not just the last one. All product reviews (ie. have a star rating) and comments (ie. no rating value) are combined by WooCommerce into a separate Schema JSON-LD block for “reviews”, no matter if a review / comment has a rating value or not. Although Google does not complain about the lack of a mainEntity or mainEntityOfPage value, this property should be included to make sure Google recognizes the main content for the webpage. WPSSO includes an aggregateRating and review property for all your products, even if they do not have any reviews — and if your products have reviews (ie. with a star rating) and comments (ie. no rating value), they will be classified properly, and added to the Schema product markup as “reviews” and “comments” respectfully. WooCommerce provides only a single product offer in its Schema markup — even for variable products with different pricing — while WPSSO includes all product variation offers, grouped by currency, with complete product details for each offer (description, image, mpn, sku, gtin 8-14, item condition, availability, price, currency, VAT added, etc.). WPSSO includes product prices without VAT (by default) or can optionally include VAT in the offer prices. 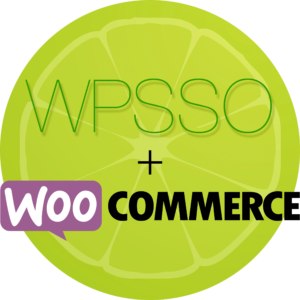 WPSSO also includes the WooCommerce product and variation image, weight, width, height, and length values for each offer. From your site’s Plugins > Add New page, search for “WPSSO Core“. From your site’s Plugins > Add New page, search for “WPSSO JSON“. From your site’s Plugins > Add New page, search for “WPSSO BC“. From your site’s Plugins > Add New page, search for “WPSSO TIE“. Have a look through your site’s new SSO > Setup Guide page for possible setting suggestions. Purchase the WPSSO Core Pro plugin and follow the installation notes provided by email. Purchase the WPSSO Schema JSON-LD Markup Pro add-on and follow the installation notes provided by email. See the WooCommerce Integration Guide.